This fragrance reminds me a bit of Fall, and since the weather's getting cooler, it's the perfect time to introduce it, and give some away. Thanks to Harvey Prince, I get to do both! The Eau Fling is a spicy scent, that offers notes of Lavender, Blackcurrant, Plum, Raspberry, Apple, Jasmine, Nutmeg, Cinnamon, Musk, and Rare Woods. It's leaning more towards the spicy versus fruity, at least that's true to me. It's got great staying power, and it's not a bit overpowering to wear. Chances are high you've heard of Harvey Prince. It's a fragrance line often featured at places such as The New York Times, The Today Show, and Cosmopolitan (to name a few). It's highly popular with the ladies, and designed to appeal to the fellas. One of my favorite things about Harvey Prince is that it is a company started by two brothers who initially were only trying to create a fragrance for their mother. They wanted to create something for her that was high in quality, but contained no toxic ingredients. Their effort was a huge success, and now their company is too. There are many other scents in addition to this one, and there are various sizes to choose from as well. They've also got some great scarves for sale, and they always offer a fabulous deal of the day. You can purchase the Eau Fling here. You can learn more about Harvey Prince and their products by visiting their website. You can also follow them on Facebook and/or Twitter. 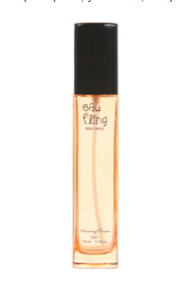 Three lucky winners get a bottle of the Eau Fling to call their own. US entrants only. I bet this one smells great. I like that it has a fall feel to it. There's nothing quite like the scents of fall, so crisp, cool and clean. I like that there is no toxic chemicals. That's a nice looking perfume. Thanks for the giveaway! I learned that harvey Prince was founded by two brothers as a gift for their mother. What a great giveaway. I like the look of the bottle. What an awesome giveaway! I try to find cologne for my husband but he never seems to like them, will have to give this one a try! My mom loves their age perfume. Looking at some of their perfumes, I'd love to try Singular Scentsations - English Lavender. I learned they are 1000 % Cruelty Free, no animal testing. I LOVE that. Animal testing is so barbaric. I've never tried this perfume before, sounds like it's great! Nice giveaway.. i have never heard of this, but my wife has and asked me to enter! Good luck to everyone! What a great prize! I would also like to try the Skinny Chic. Thank you, Paula C.
I would buy this just because they don't do animal testing. That's a MAJOR plus to me. I actually like their scarves. what a great giveaway to have, i sent it to some friends, im not into stuff like this. oh nice giveaway - i bet that smells really good. And just in time for the holidays. This would make a great gift for a special someone. Thanks for sharing! I've never heard of this brand before, will have to check them out. That's a nice looking perfume in a beautiful bottle. Thanks for sharing I had never heard of this before. Looks like it was a fun giveaway! Congrats to the winners! Thanks for a great giveaway! I love the smell of fall so I bet I would love this scent too. Thanks for introducing it to me. Great variety! Love changing up perfumes for the season. This would be perfect for colder weather. I've been wanting to change up my fragrance to a Fall weather one, thanks for the giveaway! Haven't heard of this perfume but I wanna smell it. Haha. Good luck to those who will be joining! I love that they don't test on animals!! I would love to see how this smells. I hadn't heard of Harvey Prince before. All the fruits make the scent sound interesting. It does doesn't it? I've already started looking for this online. My girlfriend loves fruity stuff. I'm always on the looking for fragrances that stick! I like that it doesn't have toxic ingredients. I like to wear perfumes but sometimes I'm afraid about my little baby inhaling it! The scent sounds like it would smell great! I love that the line was born from a gift for their mom. That's pretty neat, and I totally wish I could wear fragrance so I could try it. This looks like a great giveaway. Love this giveaway. Perfume sounds amazing. I always loved the scent of Jasmine. Thanks for sharing. I love Harvey Prince Perfume. Thanks for such a great giveaway. Wow I like some of the scents listed there, especially the lavendar. It's one of my favorites. 3winners! What a generous giveaway!! Awesome. Thanks for sharing. I bet it smells wonderful. Love that there is cinnamon in this! I've never heard of this brand, but it sounds like an amazing perfume! I'd love to try it out! That combination of fragrances sounds wonderful! And the bottle is beautiful. It's so fun hearing about (and smelling) all the new fragrances that are coming out. i don't wear perfume but my mom would definitely like this! >XD thanks for hosting this one! i dont wear perfume too haha my nose is a bit sensitive with smell specially in air conditioned places. will share this giveaway! What a great giveaway! Good luck to everyone who enters! I'm not into acquiring new perfumes as I am really picky on smells. I keep to my cherry blossom perfume from Bath and Body works. that they are non toxic , which is so great !!! I would like to have the Ageless perfume, I love all the choices they have on the site, I would love to have them all. I would really like to win so I could try this frangrance. The sweet smell of bliss sounds nice too. i would also love to try their flirt perfume. I learned two boys founded the company as a gift for their mother. The company was founded by two brothers. I love that they do not test on animals. Founded by 2 brothers as a gift to their mom! I like that all of their fragrances are hypoallergenic, 100% cruelty-free and with no animal testing. I like the Sincerely 1.7oz EDT. I like that there is no animal testing. I would love to try the Temptress fragrence. There are all sorts of aphrodisiacs in it! Sounds like fun. I learned that the company is 100% cruelty free with no animal testing, parabens, or phthalates. I also learned that aside from fragrances they also sell scarves. I learned that in addition to fragrances, they now also sell scarves (and they are beautiful)! Thanks for the giveaway…Harvey Price Perfumes are crafted locally in the USA, using the finest essential & natural oils from around the world. I love that the company is 100 percent cruelty free - no animal testing !! I like the Singular Scentsations Clean in Musk. It sounds like such a clean smelling scent. I would like to try Ageless Eau de Parfum Spray, sounds interesting! MegaFan Sports Megafold Review and Giveaway! Loving his Shirts That Go! Crazy Aaron's Puttyworld Has the Market on Fun!